This is 38 Special Federal Law Enforcement Classic Hi-Shok 125gr. +P Hollow Point Ammo. The Classic line of ammunition has served law enforcement officers for generations. It has proven itself as a consistent, dependable performer at a reasonable price. The Hi-Shok bullets hit hard and expand reliably for effective energy transfer. This ammo is extremely hard for us to get and we have limited supplies. This ammo is packed in 50rd. boxes. 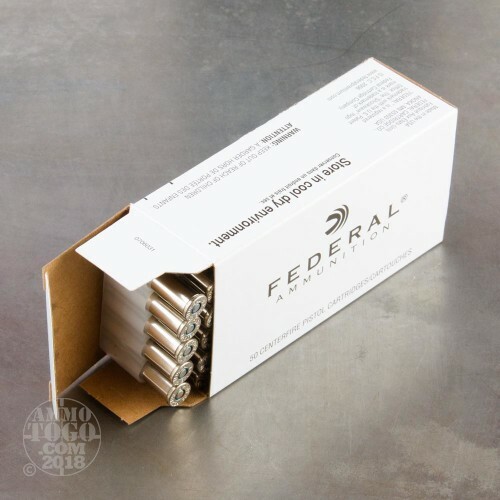 In hopes of giving ourselves and our customers a better idea how this 38 Special self-defense ammo would perform if called upon in a self-defense scenario, we tested dozens of the best selling hollow points on the market. 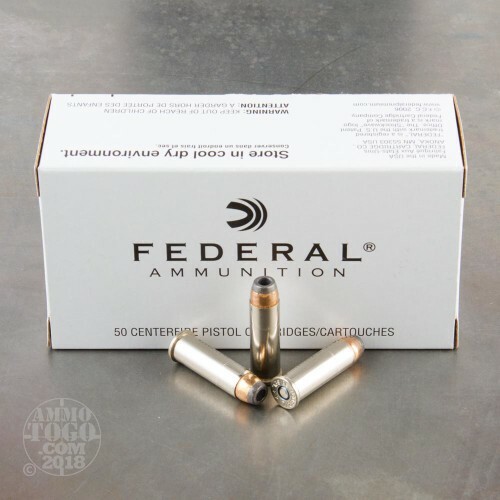 We fired five rounds of this Federal Ammunition 38 Special ammo through a cloth barrier into Clear Ballistics calibrated synthetic gelatin and recorded the results. For these tests, we used a S&W 640 with a 2.125-inch barrel. 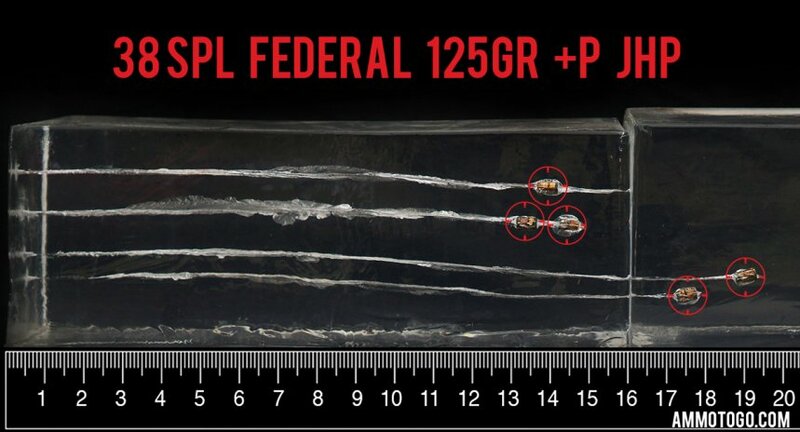 In the photos, graphics and video on this page, you can see specifically how the Federal Ammunition ammo performed and how it sticks up with the rest of the 38 Special ammo we have tested so far. 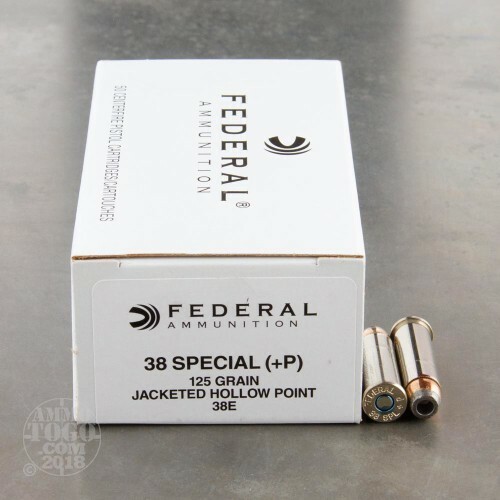 How do the results for this Federal Ammunition 38 Special compare to other 38 SPECIAL? 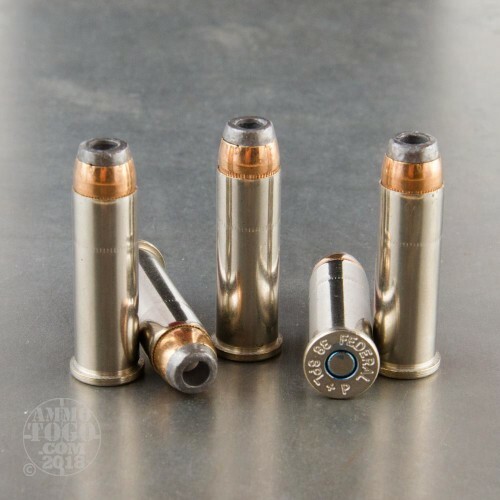 Expansion Diameter Compared to All 38 Special Ammo Tested MIN 0.35" MEDIAN 0.45" THIS AMMO 0.35" U.S. dime MAX .75"
Penetration Depth Compared to 38 Special Tested 0" 10" 20" 30" MIN 9.5" MEDIAN 14.7" THIS AMMO 14.5" MAX 30.3"